Koreanmall is a South Korean online shopping site which carries an extremely wide range of goods. 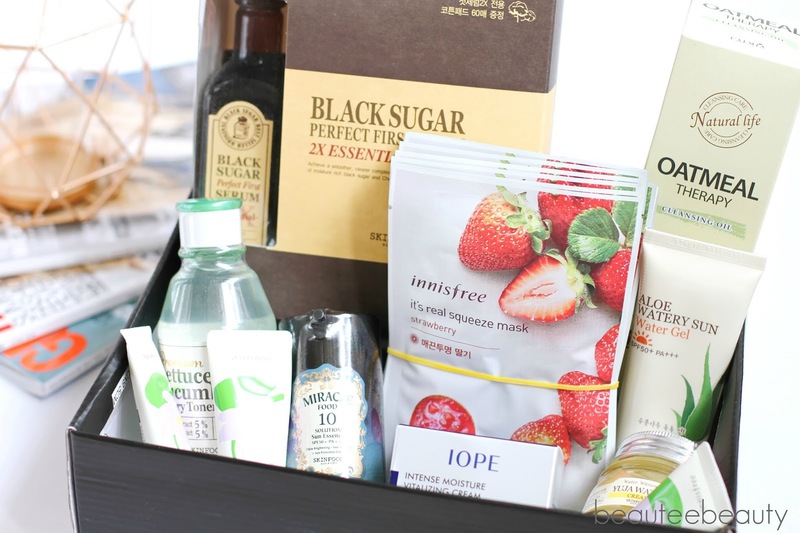 Not only do they carry skincare and cosmetic items, they also do clothing, baby & toddler items, food, sports items, k-pop merchandise and home and garden ware. It's literally a full on shopping mall - online! What's amazing is the variety of products. 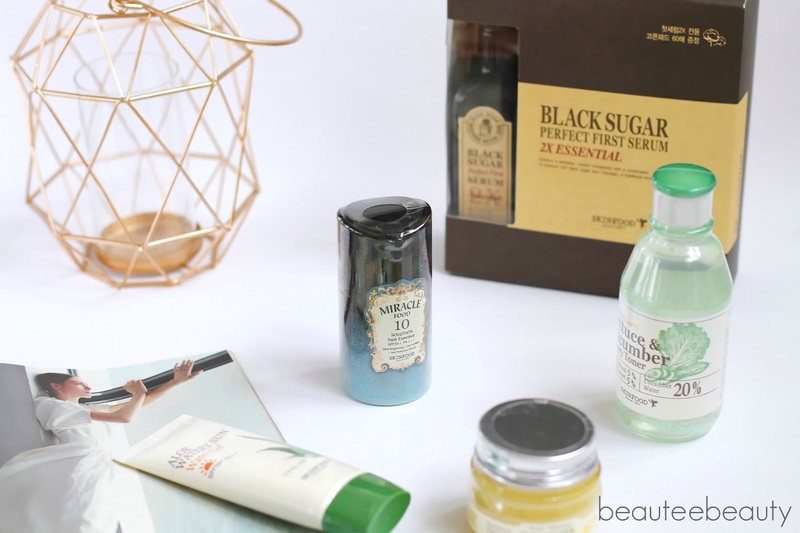 I spent a good 1-2 hours just looking through the site for cosmetics and skincare items as there were just so many different brands and products to check out. I really liked that the website was also very user-friendly and easy to navigate. I found the 'search' bar function to be quite accurate as well. This is important to me as websites with confusing interfaces rather puts me off and sometimes I just want to specifically search for a product without going through the motions of browsing a site. 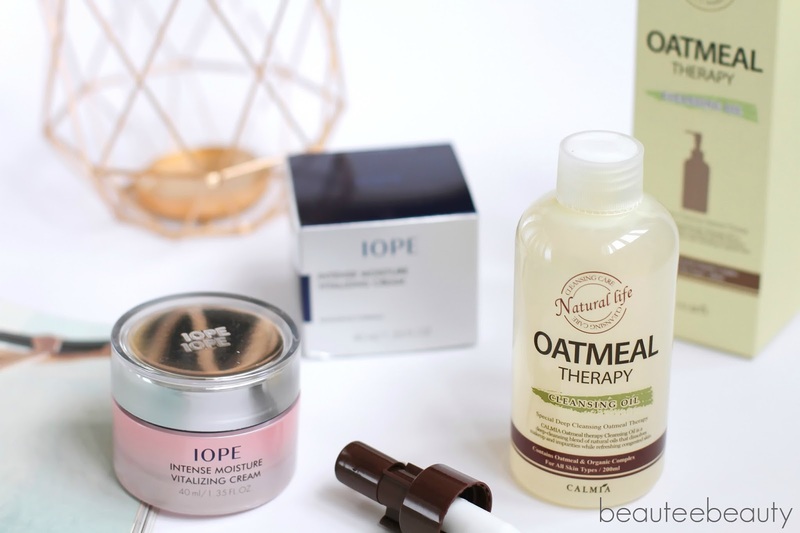 Seeing how I am mainly interested in makeup and skincare - let's just focus on that, shall we? 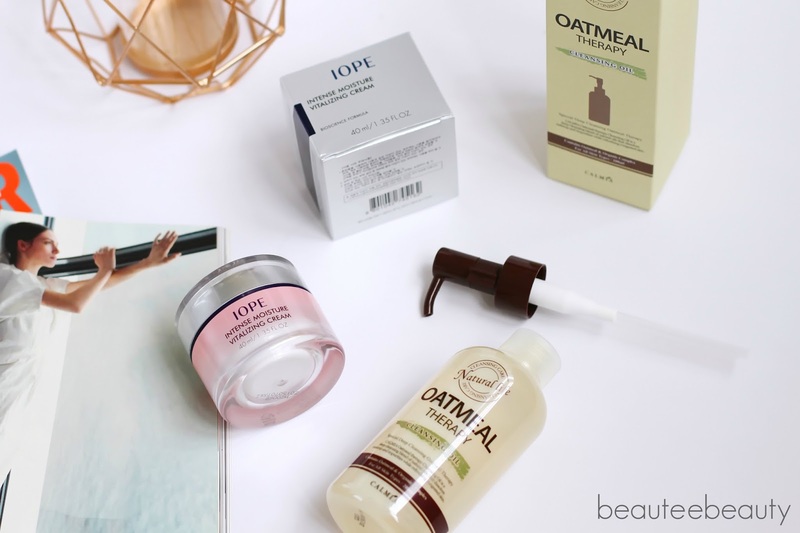 The site carries many renowned Korean cosmetic and skincare brands such as innisfree, Etude House, Skinfood, and The Face Shop. 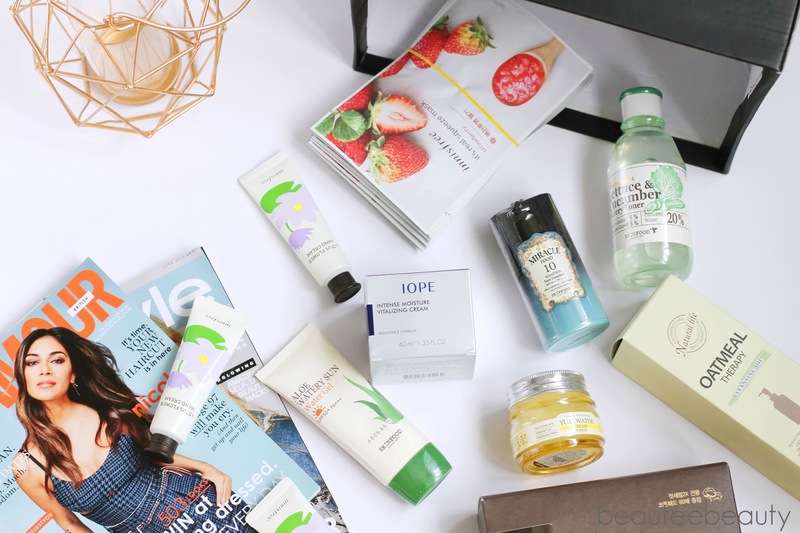 Koreanmall also carries higher end brands such as Hera, Iope, and Laneige; and other brands which are not readily available in Malaysia such as Son & Park, Rivecowe, Primera and Mamonde. But honestly, the list can go on and on! I also notice that they always have ongoing promotions for different items and the price of products are generally cheaper than what I would get here in Malaysia. To place an order, I registered an account with Koreanmall. Registration was no-frills and you just have to insert your email address, name and chosen password details. When I registered as a new member, I got USD 3 worth of K-money which can be used to set off amounts in purchases - so that was handy. After that, just begin browsing! I spent ages looking at things but I eventually chose some skincare and makeup items, added them to my cart and checked out. The process to check out is quite convenient and easy. I went to the 'cart' page to double check my order. 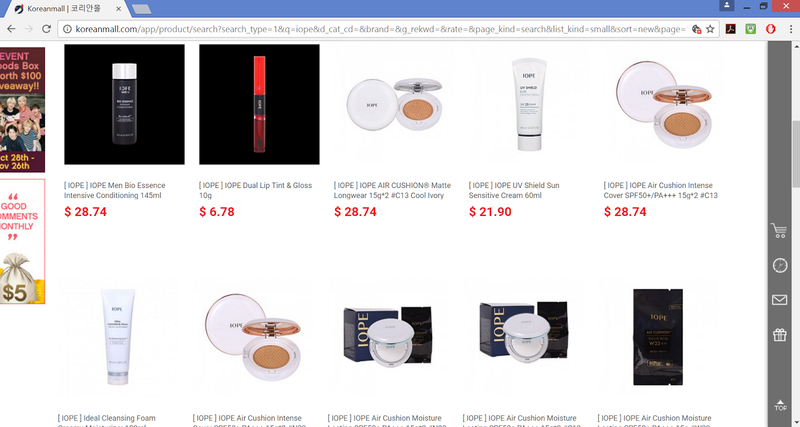 The items you have chosen are displayed on the page with pictures so you can easily see them and if you want to remove an item from your cart, you can just click the remove button. I then checked out and proceeded to key in my billing, shipping and payment details. I was wondering what type of payment methods they would accept, but no worries because they accept all major international debit and credits cards such as Mastercard, Visa, AMEX and JCB. Payment can also be made via Alipay, Paypal, Tenpay and Unionpay accounts. Once you have confirmed and placed your order, Koreanmall will send a verification email confirming your order. Then, the waiting begins! I ordered quite a number of items – here’s a sneak peek of what I ordered but scroll down to see more details on what I got! Koreanmall's shipping fees are calculated based on weight, dimensions, origin and destination. Note that it does not include any customs fees or taxes though, which we as a customer will have to bear if customs tax is imposed on us. 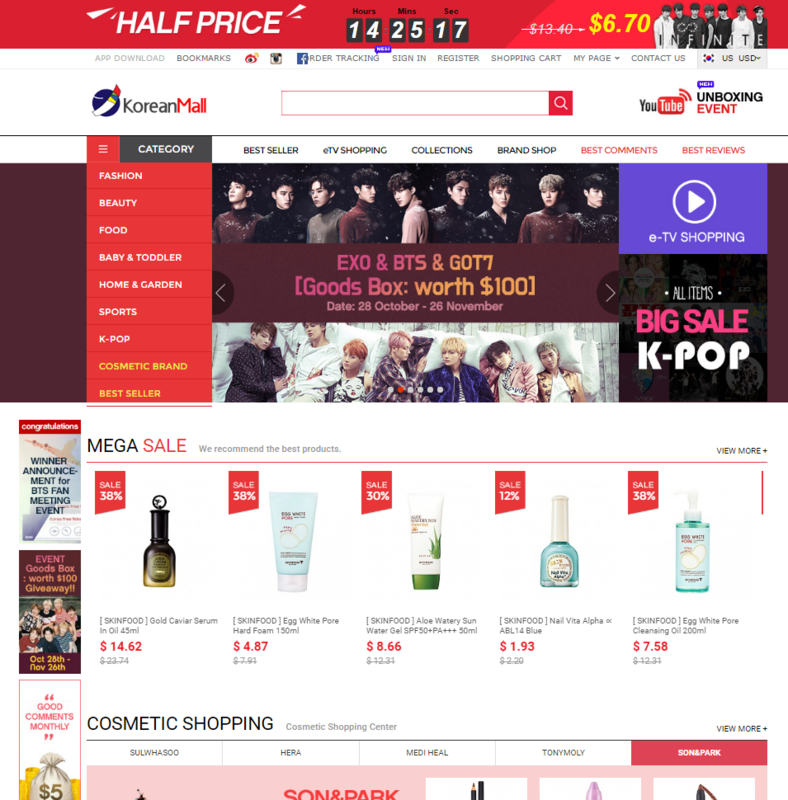 What I like though is that Koreanmall offers free international shipping for orders over USD 49 - free international shipping is always good! Standard shipping takes about 7-15 days to arrive and if I am not mistaken, they take about 7-10 days to process and pack the order. Overall, it may take a few weeks for the order to arrive but if you are not in a hurry for the items, it should be fine! If you want items quickly though, they also offer, among others, UPS shipping for a fee. I chose that option and my items arrived 4-5 days after it was sent out from South Korea - super duper quick! My items arrived in a box which was very well taped and wrapped. There were loads of bubble wrap in the box as well to keep the items well-padded and intact. I am so pleased! None of my items were damaged and broken too - so happy! I really also like that they offer a free returns policy (although it does exclude the return shipping fee) for all orders of USD 49 and more within 14 days from the date you receive your item. 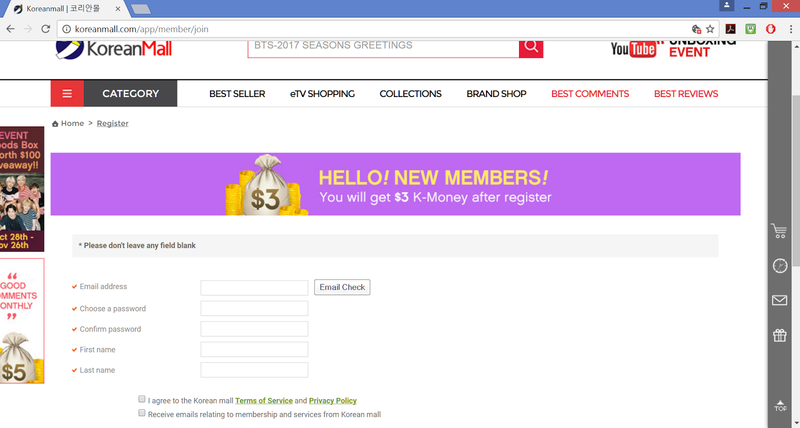 I have no reason to return any item but looking at their site, Koreanmall says that after they process your returned item, they will refund the money paid in the form of K-money (i.e credit in your account). I always prefer cash refunds but a credit refund is better than no refund policy hehe! Let me talk a lil’ bit more about the items I got according to their brand. First off is Skinfood. 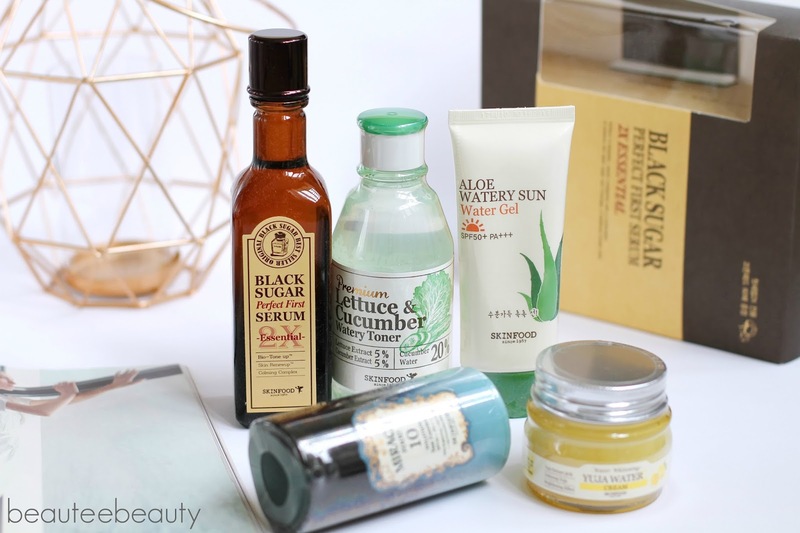 - This serum claims to be skin-brightening and anti-wrinkle and helps skin achieve a smoother, clearer complexion with a combination of moisture rich black sugar and Cheongju, a traditional Korean wine. It comes with a box of two-sided cotton pads – one side is for exfoliating and the other is to smooth the serum over the skin. Isn’t this packaging adorable?! - Containing 5% lettuce extract, 5% cucumber extract and 20% cucumber water, this toner is a cooling toner with a watery texture that is meant to deeply hydrate and moisturise skin. I have dry skin so this will be interesting to try! - Living in hot, sunny Malaysia, sun protection is a must so I can never have enough sunscreen. I chose this product because it claims to be a lightweight and moisturising sunscreen which is of a gel texture (my favourite) and does not leave the skin with a white cast. It also claims that it will not make the skin oily, which is always a good thing. - Another sunscreen! Can you tell I just love them? Hee! This sun essence sounds like it would be very lightweight in texture. It claims to have whitening and anti-wrinkle care functions and contains ingredients such as white ginseng, quinoa and honey extracts. With SPF 50 PA+++, I should think that this would be a killer sunscreen. We shall see. - Yuja Water cream is a light cream moisturiser which claims to have moisture locking abilities for even the driest of environments. 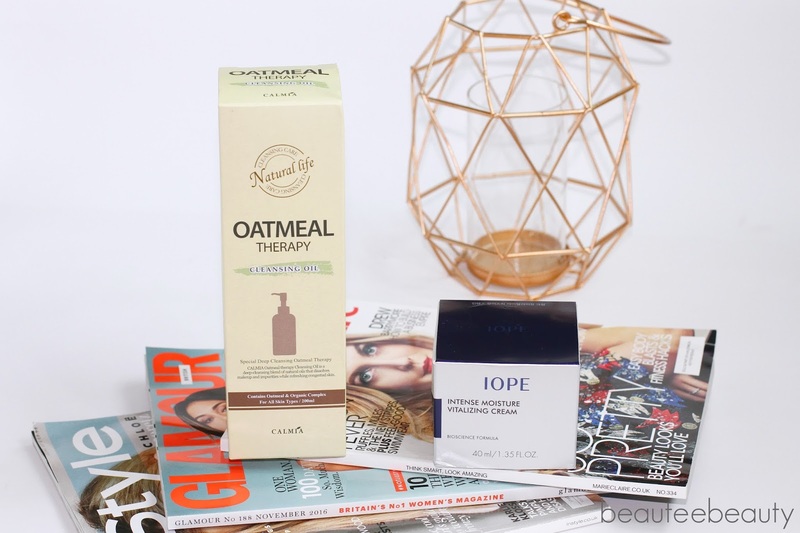 Anything which can help moisturise my skin is right up my alley! - I got this baby in a pack of 10 sheet masks. 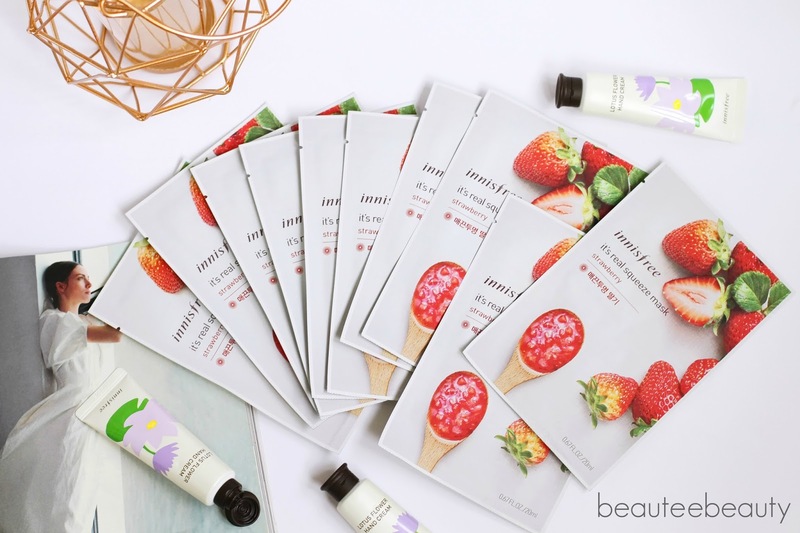 The Strawberry version of this range of sheet masks claims to have moisture from squeezed strawberries which leaves skin looking smooth and bright. 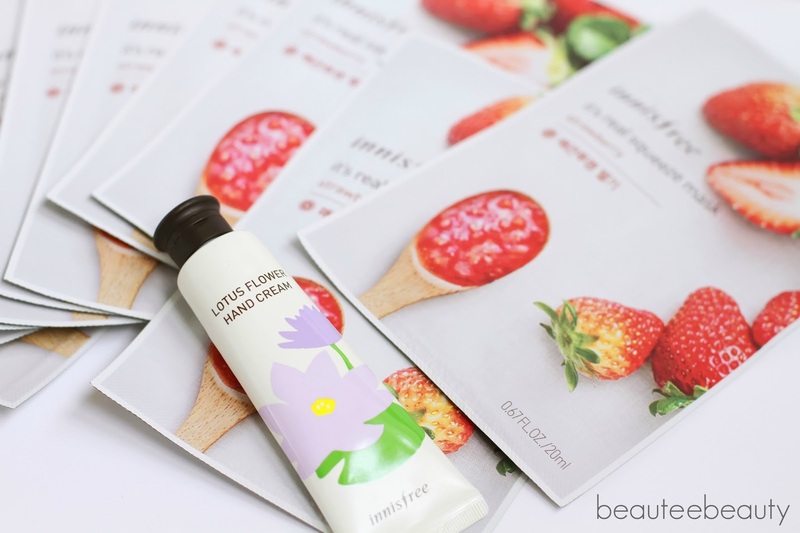 I have tried Innisfree sheet masks before and rather like them, so this is a fun addition to my sheet mask collection. - Hand creams are something I really need to use more of so I chose a few. Innisfree has many different versions of hand cream but I previously sniffed this scent in store and liked the scent. Infused with olive oil emulsion and shea butter extract, this ultra-hydrating yet lightweight hand cream claims to absorb quickly into the skin without leaving a sticky feel behind, and fully moisturise the hands. - I am running low on makeup remover so decided to try this out. This cleansing oil contains a blend of various oils such as almond oil and grapeseed oil and is infused with willow and papaya extracts. It claims to be able to deep cleanse the skin and dissolve makeup and impurities and washes off without leaving an oily residue. Excited to try this out! - This baby claims to be a cream which comes in a soft texture and provides elasticity and deep moisture to the skin. Not too sure of the texture of this cream but am hoping this is suitable as a night cream ‘cause I need a new night cream hee! Really like the packaging and have always wanted to try an Iope product so I’ve got high hopes for this one. That's all I have to show! These items were all on sale but I am so glad that they did not compromise on quality and 'freshness' of the products. 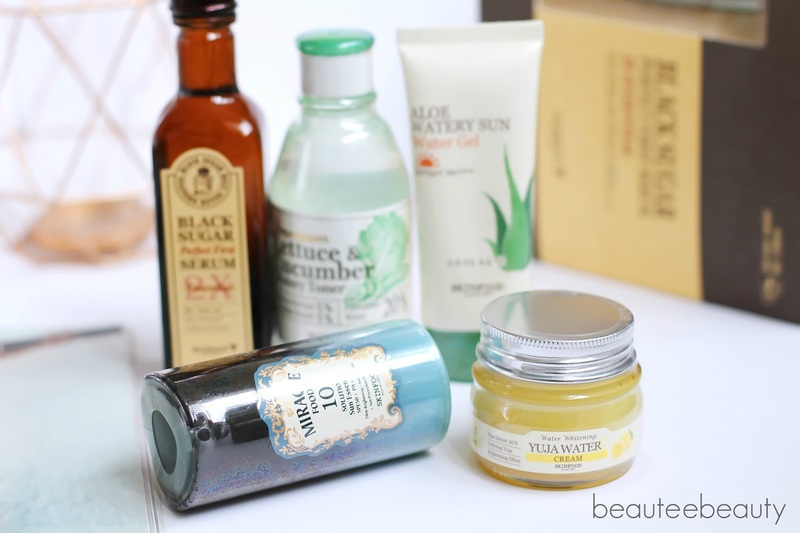 All the products are nowhere near expiry date and are still very new - which is awesome! As far as I am aware, all the products are authentic as well - so yay! There were a few more items that I ordered but these did not arrive in my parcel. 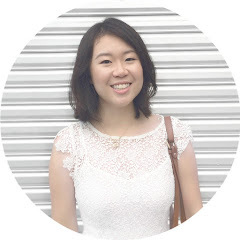 I emailed them to clarify and I must say – their customer service is superb! Very prompt response and efficient. They immediately responded and explained that the items were out of stock and that I could choose replacement items within a price range similar to the products I originally ordered. I am impressed with their customer service and their willingness to assist in whatever way they can. If great customer service is your thing, definitely give this website a go. I have chosen my replacement items and cannot wait for them to arrive – will update you when I receive them! 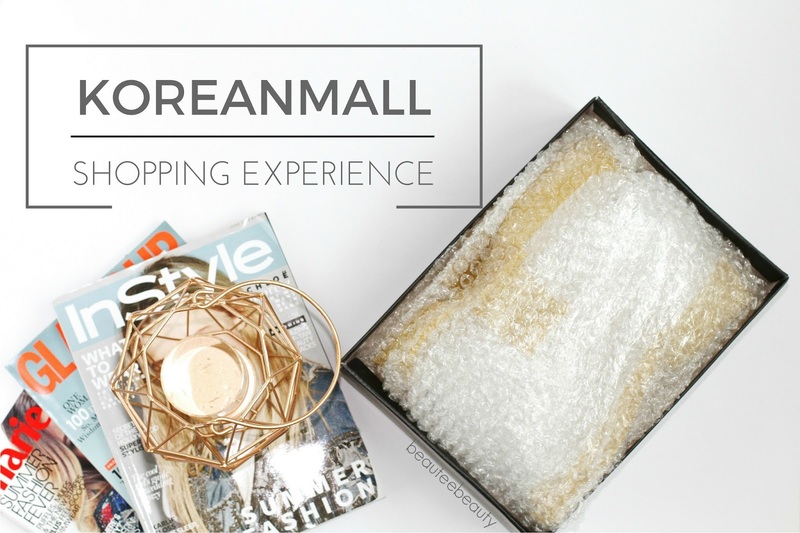 Overall, I am pleased with my experience with Koreanmall. It is quick and easy to use, has a convenient interface, good delivery and customer service and provides free international shipping for purchases of a certain amount. What more can I ask for? I would recommend this site to anyone looking for a reliable website and a good time shopping online! Hi, just wondering but was everything you got authentic? I've read about fake sheet masks from innisfree and other brands on eBay and Amazon so I'm a bit skeptical about ordering from them especially since I have to buy the tonymoly and innisfree ones in bulk and its my first time.